Our classy cream white pure cashmere wrist warmer is made in Italy with 100% Mongolian cashmere yarns. Keep your hands warm and wrap them in the cashmere softness for a comfortable warmness. Wear them when going out for work in the chilly winter mornings as well as when going out for a stroll with your loved. We use only top quality materials and you can enjoy a 30 days money back guarantee. 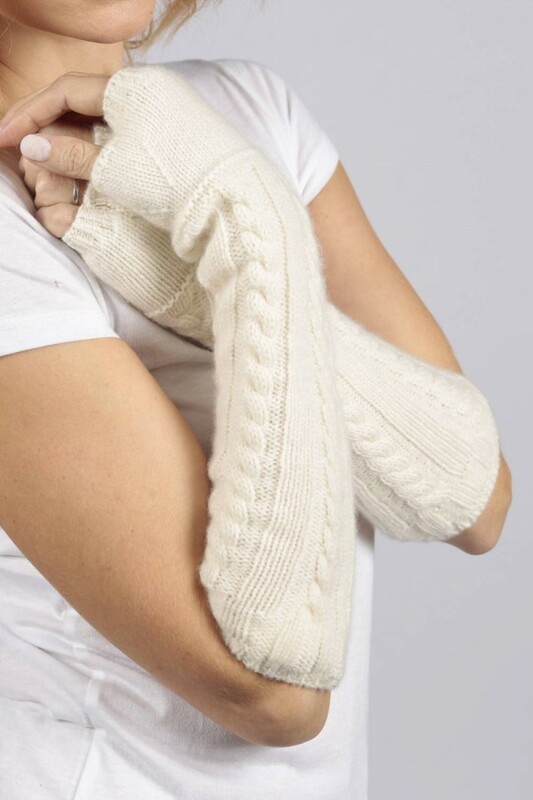 These beautiful Cream White cashmere wrist warmers are perfect with our Cream White pure cashmere tops and ponchos.